While going through images on my office computer, I found some photos I shot in Shanghai quite a few years ago that I should post here to share. 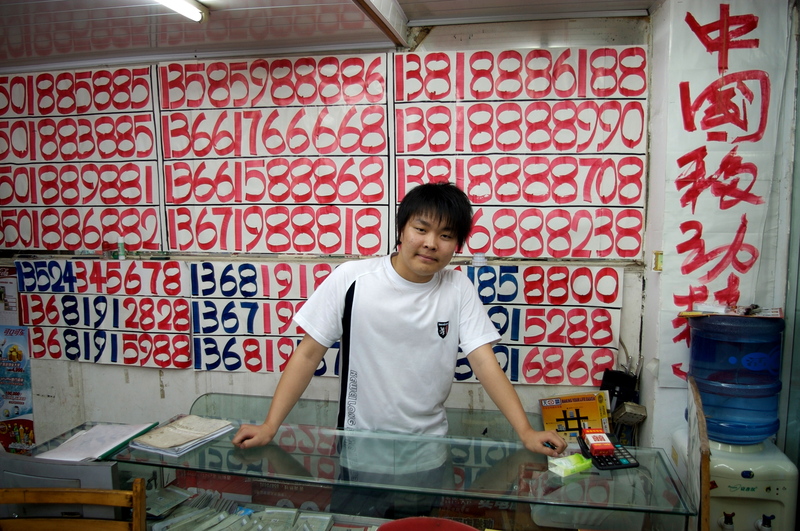 Following up on previous posts about lucky red sashes on cars in Shenyang and avoiding unlucky floor numbers in a hotel in Chengdu I thought I should post some of the images of this young man selling lucky telephone numbers. I just discovered that Wikipedia has a very nice page detailing why specific numbers are lucky in China, so I don’t need to take time to summarize them here. Lucky telephone numbers for sale in a convenience store.